So I’ve been trying to get my hands on this coveted Mexican Chocolate Stout for awhile now. You see, its only made and sold in Colorado. Through back channels, and favors. My buddy Leroy, smuggled this bad boy across state lines! So, this beer, I had to treat special. What I did, was matched its journey. 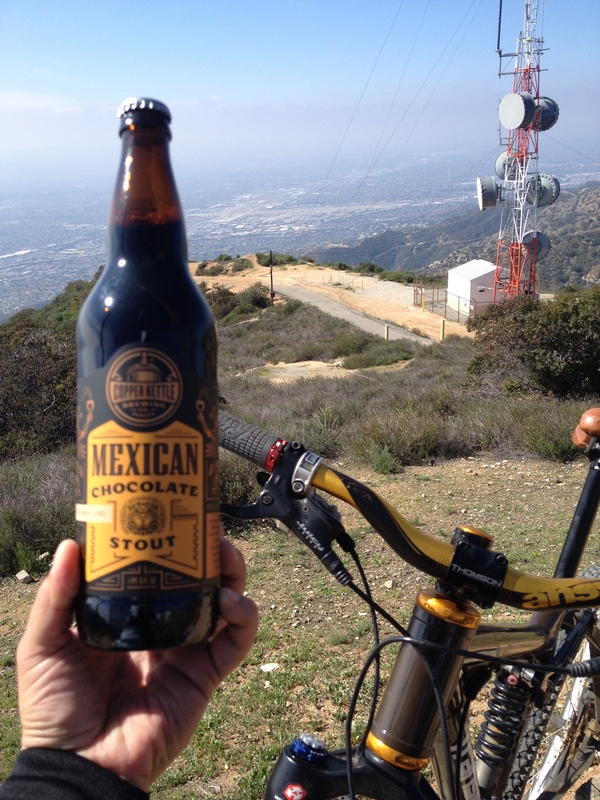 I climbed La Tuna Mountain, and at the top of the world, enjoyed this coveted Stout overlooking the San Fernando and Los Angeles basin. I earned every bit, for this beer, it was destiny. It was a cool Saturday morning, hazy and the sun peeking in and out of the heavens. It was a 4 mile bike climb, not too bad, I haven’t ridden in awhile, but I was motivated! Check out the video below and watch my journey. Overall, I had a great ride up the hill, and the beer was rewarding. I would re-visit drinking this beer, but I wouldn’t put this beer on my list of 5 best Stouts. Till next time, cheers! ~ by Golden Foam Notes on February 22, 2015.